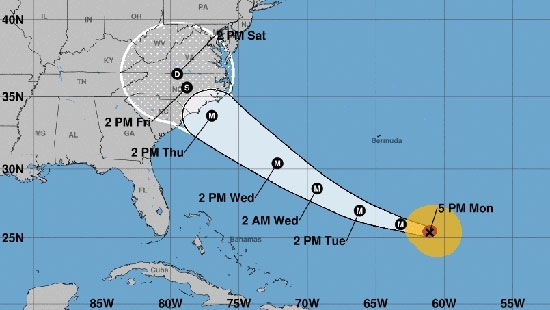 Hurricane Florence has been upgraded to a Category 4 storm with maximum sustained winds of 130 mph. It was centered about 575 miles south-southeast of Bermuda around noon on Monday, 9/10, and moving west at 13 mph. The system could possibly intensify to a Category 5 over the next few days as it crosses the warm waters of the Gulf Stream. A high pressure system will develop over the Northeast and guide the storm into the Mid-Atlantic/Southern coast. South Carolina Gov. Henry McMaster ordered a mandatory evacuation for the entire 187-mile coastline beginning on Tuesday, 9/11, at Noon. The storm could hit the United States coast on Thursday or Friday, but that prediction could change. The Philadelphia area probably won't see any effects from the devastating winds but could possibly see heavy rainfalls. The Jersey Shore is still dealing with the effects from the remnants of Gordon, but will be on the watch as the swells build ahead of Florence this week. 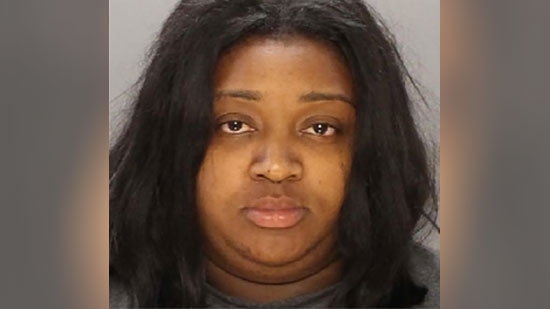 Philadelphia Police have identified the Checkers employee accused of throwing hot grease on three customers from the drive-thru window over the weekend. 28-year-old Latifah Linder of the 5900 block of Trinity Street is charged with aggravated assault, simple assault, recklessly endangering another person, and other related offenses (see photo below). It happened around 3 a.m. Saturday, 9/8, at the fast food restaurant on the 5800 block of Baltimore Avenue. Three woman told Linder there was a problem with their order. She refused to change it and the women in the car refused to drive away. An argument ensued. Linder tossed a cup of hot grease into the car. She also tossed pans of grease at the women. The driver suffered first-degree burns and was taken to the hospital. The two passengers suffered minor burns and were treated at the scene. A statement released Saturday afternoon from a spokesperson for Checkers read, "The franchise is taking this incident very seriously, and the manager involved is no longer with the company. That behavior was completely unacceptable and does not represent the values of the hundreds of Checkers employees who serve our Philadelphia guests every day. The franchise is cooperating fully with the police in their investigation." Sea Isle Police issued over 500 citations for public drinking to combat drinking on the beach this summer. Police Chief Tom McQuillen said that 509 summonses were handed out this summer. The aggressive enforcement program began on Memorial Day weekend. Police were responding to community complaints about public drinking. They targeted the beach and other tourist areas. McQuillen says they will be back next year to enforce the city's ordinances.